EZ Street cold asphalt compared to hot mix asphalt repair. By comparing the cost of time and materials for each product he was able to calculate the percentage of cost savings. His final recommendation for Columbia's Wastewater Department was to change the current, two-step paving process, to the one-step paving process using EZ Street asphalt repair. To learn more about this study read below or download the PDF. has been accepted by the faculty of Trevecca Nazarene University. This project thesis is not to be regarded as confidential, and its use as a sample in future classes is not restricted. Furthermore, this document can be reproduced completely, or in part, with proper citation. The purpose of this project was to investigate using a polymer-modified asphalt mix, known as EZ Street, in a one-step asphalt repair method to permanently repair utility cuts in paved areas. This method was compared to the two-step asphalt repair process, which incorporated the use of cold mix and hot-mix asphalt, to permanently repair utility cuts in paved areas. Option One, or the Applied Design Intervention, was chosen for this project to present the most accurate and thorough results of comparison between the two methods. The sporadic availability of hot-mix and the duplicity of asphalt placement in utility cut repairs warranted the need for investigations into more efficient repair materials and methods. This writer believed the incorporation of a polymer-modified mix, such as EZ Street cold asphalt, into street-cut repairs would lead to a more efficient permanent street-cut repair. This writer also believed that by investigating and examining the measurable objectives, the city of Columbia Wastewater Department would notice a cost savings by the reduction in time and materials used in the repairing of utility cuts in paved areas. Three objectives were used to evaluate the performance of both repair processes. The first objective was a measurement of the time differential between the intervention and the current, two-step process of applying a temporary repair of cold mix, followed later by a permanent repair of hot-mix. The second method was a measurement of the differences in the total amount of asphalt required for each method to achieve a permanent repair of asphalt in utility cuts. The third measurement was to calculate the total amount of time and materials needed for each method and compare the differences. By using the aforementioned stated objectives, the implementation of the intervention using a polymer-modified mix, such as EZ Street cold asphalt, allowed a more efficient permanent street-cut repair. The research methods chosen will now be reviewed. Percent change was the method chosen for the first objective to evaluate the man-hours needed to complete a permanent repair of asphalt in utility cuts in paved areas using each method. Percent change was also used in the second objective to compare the amounts of material needed for each installation method to achieve a permanent asphalt repair. And for the third objective, percent change was again the method of choice to compare the total amounts of time and material used in each process to achieve a permanent asphalt repair in utility cuts. The results in each objective showed significant reductions by using the intervention over the current process of permanent asphalt repair of utility cuts in paved areas. This project thesis provides the information on a more cost-efficient method of paving utility cuts using a polymer-modified asphalt mix, such as EZ Street cold asphalt. This entire project is to show the need for alternate methods of repairing utility cuts in paved areas within the streets of the city of Columbia, TN. Using a polymer-modified asphalt mix reduces the time and materials needed to permanently repair a utility cut in paved areas by the city of Columbia Wastewater Department. Utility companies perform asphalt repairs, or patches, after the underground utility is repaired. Usually, this asphalt repair involves multiple visits by a repair crew to the street-cuts, or simply called cuts, to install a temporary patch of asphalt material called cold mix. Later, an installation of a permanent patch of asphalt material, called hot-mix, is installed. The manufacturing of new asphalt mixtures, with higher performance characteristics, has allowed utility companies the option of permanently patching utility excavations with a one-time application of this composite mix. With a single asphalt mix, the need for multiple visits to construction sites is eliminated. The purpose of this project was to investigate the feasibility of using EZ Street, a new asphalt repair installed as a one-time application process. This mix was used in conjunction with an improved base and sub-base installation procedure. A one-time application of EZ Street mix took the place of the existing two-process method of repairing cuts by installing cold mix, followed later by installing permanent hot-mix. The city of Columbia, Tennessee, was incorporated in 1817. The city has evolved to include thirteen departments with various duties. Prior to the 1950s, the wastewater system’s installation and maintenance activities of underground sewer lines were generally part of the Public Works Department. The current Wastewater Department came into existence as a recognized department, within the city of Columbia, in the late 1950s when the first wastewater treatment facility was placed in operation for the treatment of sanitary sewage. Prior to this, sewage was discharged directly into the Duck River. The Wastewater Department receives its operating funding through fee generation. Operating expenses include the actual treatment of waste at the treatment plant, as well as maintaining the collection system. The general purpose of the Wastewater Department of the city of Columbia is to treat and dispose of sanitary sewage to protect the health and welfare of the citizens of the City. The Wastewater Department is divided into two sections. The Collection Division, or Collections, is responsible for transporting the raw sewage to the treatment facility, and the Operations Division treats the raw sewage. Without a proper organizational structure in place, the proper transportation, treatment, and ultimate disposal of sewage would not be as productive. Some form of a collection system has been in place since the early 1900’s, and possibly before, for the collection and discharge of sanitary waste from homes and businesses. The underground piping system, commonly called the collection system, comprises sewer lines installed by contractors for new developments and existing city-installed sewer lines. This system comprises multiple sized pipes. Service lines connect homes and businesses to city sewer main lines. Most sewer lines are gravity-flow operated. The city of Columbia Wastewater Department personnel inspect and maintain this collection system. Sewer lines were often installed in certain physical locations as a convenience to the customers being served. Sewer lines were not always installed from a maintenance standpoint. They were either installed from a physical location perspective or from a future repair standpoint. Many of these sewer lines were installed in street rights-of-way. Since the early twentieth century, these streets have long since been improved through reconstruction including asphalt paving. Continued maintenance of underground utilities in paved areas is a necessity, and a greater effort is in place to effectively and efficiently reduce repeated repairs on street-cuts. Until the last 20 years, utility owners including the Wastewater Department, had not always placed great importance or emphasis on the need for proper, long-lasting, and efficient street-cut repairs. The Wastewater Department’s main concern was to repair the deficiency within the sewer line with as little disruption to the sewer system as possible. Less concern was placed on the methods for re-filling the trench and more concern for re-opening the road for traffic. For decades, the Wastewater Department had performed utility cuts to install, repair, and replace existing underground sewer lines. Street-cut repairs were not as crucial when many driving surfaces consisted of different construction materials such as crushed rock, chert, and slurry-type asphalt mixtures. City paving codes evolved and have been implemented over the last twenty to thirty years to address the need for better and more uniformed paved streets. Thus, the need arose to properly repair street-cuts in a more efficient manner, and in turn, extend the life of the street-cut to more closely match the life expectancy of the existing street pavement. Repair techniques often employed led to less-than-efficient backfill procedures and materials selections. Instead of today’s standards of using properly compacted crushed stone for backfill material, crews backfilled the trench with the same excavated material, usually soil. If the soil was not properly compacted, settling was likely to occur. cold mix was placed in the cut, a truck tire ran over the patched cut a few times, and the street closure re-opened as quickly as possible. When defects in the repaired cut arose, property owners simply complained about sunken cuts in their streets, and crews redundantly repaired the cuts. Later, the crew would eventually come back and remove the cold mix and possibly add crushed stone for a base and ultimately hot-mix the cut. Even after that, sometimes visits were necessary for more repairs. The cuts had failed in some way, either lack of proper sub-surface installation of materials, some type of asphalt-mix malfunction, or both. Proper training of employees on procedures of proper street-cut repairs has not always been a priority. The mind-set was to install the patch and return if complaints were received. This often led to repeated returns to street-cuts and occasional scheduling issues. Employees in the past were not always informed of the more technical aspects of asphalt patching within streets. Workers were promoted from within the organization and rarely had any instruction, other than hands-on experience and advice and instruction gained from their predecessors, on proper street-cut procedures. Therefore, the only instruction new supervisors could give to the workers was from the information they had received from on-the-job training. As the sewer infrastructure aged, (approximately seventy percent was over thirty years old), more and more repairs were being made. Many of these repairs were emergency type repairs, that is, non-scheduled. Cut repairs were not always performed during times of the day when the volume of traffic was lower. Temporary repairs were performed immediately with cold mix patch material being applied immediately after work was completed on the sewer line and after the trench was properly backfilled. When temporary cold mix patching was used, the project coordinator was faced with the task of scheduling the removal of the temporary patch and subsequent placement of the permanent patch. The scheduling involved criteria such as availability of hot-mix, weather conditions, and traffic flow. Throughout the years, The city of Columbia Wastewater Department has returned to almost every street-cut at least once. The Wastewater Department installs, repairs, replaces, and maintains approximately two hundred sixty miles of sanitary sewer lines and over six thousand manholes. Greater than fifty percent of these appurtenances lie beneath paved areas. Therefore, many repairs are performed in streets. Oftentimes, the construction takes place in drive lanes of streets with heavy traffic, which necessitates the need for traffic diversion and/or road closures. Returning multiple times to the same location requires re-closing the road or setting up detours around the construction site. 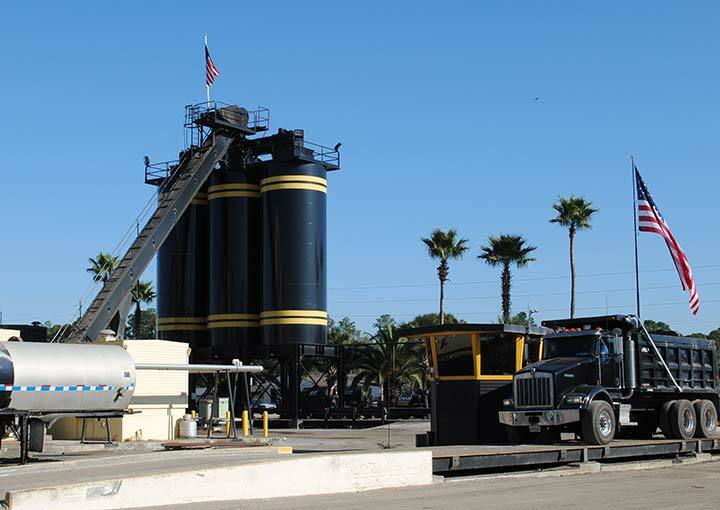 Further disruption occurs by scheduling conflicts with the hot-mix companies and whether they are making appropriate asphalt mix for that particular day. Inclement weather often hinders installation of the permanent patch and requires re-scheduling of the repair crew, too. Mobilization of equipment is time consuming since certain equipment unique to asphalt application and installation is needed. The continued use of the two-step cold mix and hot-mix application patching process, whether planned or unplanned, requires additional scheduling and redundant repair tasks like excessive digging, street closures, crew scheduling, and equipment mobilization. This project represented the efforts to determine the feasibility of replacing the current utility cut procedure in pavement by using a one-step paving repair mix calledEZ Streetmix. The past and current methods of multiple paving installations were reviewed and evaluated. A two-step process of placing cold mix then replacing it with hot-mix was being used within the city. Certain test areas were identified to useEZ Streetmix. These areas were actual street-cuts made by the city of Columbia Wastewater Department and mix was placed according to the manufacturer’s installation guidelines. Local cities using this mix were visited. Their street-patches composed of this mix were examined and considered possible comparison test areas. These cities were within a fifty mile radius. This project did not address the over-all paving and paving procedures of entire streets, only patches of utility cuts within streets. This project will not address all components of a properly backfilled trench. Any installation of asphalt, regardless of the type of material, requires the application of proper backfill procedures. Proper trench backfill procedures are imperative to a successful street-cut repair program, and every effort will be exerted to reach this goal for the purpose of this project. This project will not concentrate on all components of proper backfill procedures but on the final placement of asphalt mixtures. However, for clarification of some definitions and some construction procedures, occasional reference will be made to proper installation of base and sub-base material. No study of this type has been conducted before on one-time application asphalt mixes in the city of Columbia. The application ofEZ Streetmix will reduce the need for excessive road closures, provide less disruption to traffic flow, require less equipment mobilization, depend less on weather, is more cost effective, and allows for better management of employee resources. Therefore, this project benefits the citizens of the city of Columbia by allowing the Wastewater Department to use its paving resources and funds more efficiently. This project was undertaken to address the continued, often unnecessary return visits to utility cut repairs. Finding a viable solution to eliminate return visits allowed the reduction of time and materials currently used on street-cut repairs. This led to cost savings within the department. This project insured the city of Columbia Wastewater Department continued emphasis on time and fund management and resource allocation. Those savings were allocated to other areas of collection system maintenance. Chapter II reviews literature that supports revision of street-cut repair methods and asphalt repair material. Sanitary sewer lines - pipes that transport raw sewage to the treatment facility. Can also be service lines or city main lines. Street-cut - any location in a street where underground utility companies excavate material within the street. utility cut repairs are performed in paving anytime a utility company completes a repair to any underground utility under streets. Whether gas, water, sewer, telephone, cable, or electric, all utility organizations eventually return to repair, replace, or maintain existing infrastructure located beneath paved areas. The current method of repairing cuts used by most cities consists of a redundant repair program. Repairs are performed by installing a temporary cold mix, followed at a later date with the placement of a permanent hot mix. This method of repair has been in place for many years. This construction procedure has yielded many successful patches and repairs suitable for vehicle travel but not without its problems. Improving construction techniques, properly training employees, reducing traffic complaints and inconveniences, and improving the quality and efficiency for installation of better utility cuts will reduce the number of return visits to utility cut repairs. Cold mix designs have been improved reducing the need for a two-step patching process. The designs have created opportunities for a viable one-step procedure, eliminating much of the processes of the current two-step process. This review of literature will provide information that will show efficient installation methods, better training, and improved asphalt mixtures reduce the overall costs associated with redundant utility cut repairs. utility cuts in paved areas are needed to gain access and maintain underground utility infrastructures that lie beneath streets. As current utility infrastructures in cities over the world continue to age, more utility cuts will be needed to repair faulty utilities. Dilapidated water and sewer lines are in dire need of repair. Maintaining the utilities has become more critical than ever. In On Tap Magazine, Mark Kemp-Rye related the following Environmental Protection Agency (EPA) fact. According to the EPA, an estimated one trillion dollar investment is needed to overhaul the water and wastewater systems during the next twenty years (18). The story also stated that a large portion of water and wastewater lines in service is nearing the end of their useful life (17). Many of these utilities lie underneath these paved roads. There are a large number of paved streets in the country. The United States has more than 2.3 million miles of paved roads according to statistics in the Encyclopedia of the Nations (“United”). San Francisco alone has almost 1,000 miles of sewer lines underneath paved areas, according to the San Francisco Public Utilities Commission. Additionally, El- Hussein Mohamed with The National Research Council of Canada’s Institute for Research in Construction (IRC), said the need for utility cuts will “grow exponentially” because of the necessity to repair the “aging infrastructure”(qtd. in Noble). This was reported by Sheila Noble for On-Site magazine. In fact, Buddy Hall, with Metro Nashville Public Works, has issued up to 100 permits per day for utility cuts within the service area, reported Jenny Upchurch in her article entitled, “Readers All Over Nashville Ask Why Roads Are Bumpy.” Proper utility cut repair has been such a priority in maintaining roads, a study was performed by the United States Army Corps of Engineers and the IRC. This study examined ways to enhance the performance of utility cuts. Their findings revealed that by improving construction procedures and using proper materials, better utility cuts could be installed, thus increasing the life of the overall road (Noble). Road re-surfacing projects necessitate accelerated utility repair schedules. Oftentimes one will see a surge in the number of utility cuts just before a major road-resurfacing project. Don Reid, head of paving with Metro Nashville, Tennessee, stated this surge is the result of repairing infrastructure deficiencies prior to resurfacing so the new pavement is less likely to be cut (Upchurch). There are some instances where utilities may not have to be excavated to perform repairs. Local Technical Assistance Program (LTAP) created a training video which informs the viewer that other methods of repair of underground pipes exist requiring no excavation. This trenchless repair and replacement can be considered for some pipe repairs as an alternative to digging in roads. Methods such as pulling a liner through an old pipe or boring under roadways are techniques used with minimal road interruption. However, many repairs or modifications still require an excavation. Therefore, proper utility cut repair methods are still needed (“utility cuts”). utility cuts are necessary to gain access to the numerous utilities located underground. As the utility infrastructure in this country ages, more repairs are needed for proper utility operations. Many of the underground utilities are located within the paved roadways, meaning street-cuts have to be made. Occasionally, utility cuts are needed to accommodate other projects, such as road resurfacing. While some utility cuts in paved areas can be avoided by using trenchless repairs, excavation is often the only available option. Contributing factors/problems to poor utility cut repairs will now be discussed. utility cut repair sites often have problems after the repairs are made. Sometimes sunken areas are visible soon after the repairs are made. At other times, the transition from existing pavement to patch pavement is bumpy with too much repair material in the trench, causing issues. Deficiencies sometimes appear when repairs are performed in below freezing temperatures. Other contributing factors are sub-surface material compaction, poor construction techniques, and sub-standard backfill material. All these factors can affect the installation and make the difference between a satisfactory repair and a poor repair. “utility cuts are one of the leading causes of deterioration of the city’s streets.” This quote was taken from an article from American City and County, “Paving program efficiently upgrades city’s streets.” Evidence was found during an investigation by Paul Sullivan, Assistant County Engineer, Maricopa County, Arizona, suggesting a correlation between a breech in the pavement and its premature deterioration. Sullivan found that cuts in the pavement reduced the life of the pavement by as much as eight to ten years on a road designed for a twenty-year life span as stated in The American City & County magazine article, by Eleanor Lewis, “Helping cities and counties avoid utility cut problems.” This insures the asphalt product being installed as a riding surface will remain intact as a good repair patch. Conditions such as water in the material, size of material, and compaction quality are factors considered to limit poor quality repairs. Improper compaction of sub-base material is a concern for utility cut repairs. Proper compaction is necessary on all material going back into the trench. Improper construction techniques can also cause repairs to fail. Improper compaction techniques on trench material will cause settling in the ditch and subsequent failure of the asphalt patch. When cuts are made in existing asphalt, care should be taken to minimize disturbing the surrounding edges of the trench. Not all trenches are the same. Accommodations are made for the depth of the trench, location of the utility, and any other requirements. When materials such as soil, crushed stone, or sand is removed from a trench to access utilities, the materials should be examined before re-using as backfill. Improper material should be discarded (“utility cuts”). There are weather related factors that contribute to poor utility cut repairs. Across the county, utility companies routinely deal with freezing temperatures in winter and rainy conditions during other times of the year. Neither of these conditions is optimum for proper asphalt repair. A report, “Pavement Degradation: How Other Cities Are Dealing with It,” was presented to the 2002 American Public Works Association International Public Works Congress and Exposition. The report stated it is possible for snowmelt and rainfall to infiltrate pavement at the joined area of the patch and the existing pavement section reducing the life of the patch (Utility and Public Right of Way Committee). Cold weather can affect the backfill material. Backfill material that is frozen should not be used as it could cause settling. Another weather factor is the limited availability of hot mix asphalt, used for many permanent patch applications. In many areas of the country, only cold mix is available during the winter months. Warren Garner of Lojac Paving in Hermitage, Tennessee, stated in a recent phone interview the availability of hot mix asphalt is reduced during the winter months in many areas due to limitations of hot mix properties, which is why many municipalities use temporary mix. Fortunately, there are ways to ensure repairs are installed properly. Oftentimes, utility cut repairs in paved areas fail. The affected areas consist of depressions and bumps creating uneven transitions between existing pavement and new utility cut repairs. Several factors contribute to poor utility cut repairs in paved areas. Some of the contributing factors are unsuitable backfill material, improper backfill procedures, water migration underneath asphalt, freezing and thawing cycles, and improper use of temporary asphalt mix. Recognizing and avoiding contributing factors to poor utility cuts will produce a better repair. Discussion on installing better utility cut repairs will now follow. Since so many utility cut repairs have maintenance issues and have structurally failed, closer examination has been performed in recent years to determine just what is needed to install a better utility cut repair. These factors can contribute to a better asphalt utility cut repair: further training of employees, use of flexible polymer-modified asphalt mix designs, proper trench compaction, improved coordination, thorough planning among agencies, and proper traffic control during construction. Appropriate training of employees is essential to install permanent and more acceptable utility cuts. The performance of workers to install these cuts is crucial to obtaining the best patch possible. A paradigm exists of having to re-visit every utility cut patch multiple times repairing it multiple times to make it permanent. With the advent of newer mixes on the market and newer installation techniques, it is imperative that training be conducted with the crews in such a way to shift this paradigm. The Change Management Tutorial Series on resistance management stated resistance often comes with change. Individuals have comfort levels for the degree and rapidness of change. Managers can minimize the resistance by anticipating resistance. Going from the previous two-step process to a newer one-step installation technique will require changes in the previous procedures to properly implement. Establishing early on the importance of the implementation of these procedures will minimize and alleviate resistance (“Prosci”). Proper use of new and existing materials will result in better repairs. Trench compaction with the newer asphalt mix designs has more flexibility when installing during bad weather. Using a polymer-modified cold asphalt mix as permanent patch material is a viable alternative to cold mix. 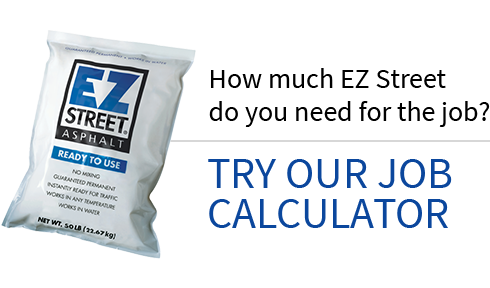 EZ Street cold asphalt Asphalt Company, in their customer information packet, described this polymer-modified mix as having characteristics that enable use year-round as permanent, one-time applications in pavement patching. Many state Departments of Transportation, as well as city governments, use this product to produce permanent repairs (EZ Street cold asphalt). No longer do communities have to wait for permanent patch material until the weather improves. Steve Ballard, with the city of Knoxville, Tennessee, said in a recent phone interview that return visits in Knoxville had been eliminated where polymer-modified mixes, specifically EZ Street cold asphalt repair , had been used. Better asphalt materials allow for a single mix for one-time patching of utility cuts even in the winter months says Don Nathan in his article “High–Performance Remedy to Potholes Puts an End to Constant Repair Work” in Roads and Bridges magazine (March 2007 ). Jeff Staggs with the city of Waynesboro said the one time application of the polymer-modified mix was easy to apply, durable, and was still at many of the original installation locations from earlier applications. The training video, utility cut Repair: Doing It Right, by the Minnesota Local Road Research Board showed proper care, by the construction workers, should be used to square the existing pavement for installation of asphalt repair material. A nice clean edge will allow a better utility cut repair joint and will be less prone for weakness between existing and new material to develop later. Proper care should be emphasized to the crews about proper backfill procedures of approved backfill material. Compacting material as it is being placed in the trench will make for a firmer trench and will reduce the opportunity for settling in streets (“utility cut Repair”). Proper compaction of trench material is considered very important for utility cut repairs to perform well. At the 2002 American Public Works Association International Public Works Congress and Exposition, the Utility and Public Right of Way Committee reported that using quality materials and using proper compaction techniques would be a good practice. Timothy Peters’ article in Public Works magazine also addressed the trench. The “Zone of Influence” is an area around the utility cut. Work in this area can cause damage beyond the actual trench. Information contained within the article gives details on procedures to install a t-cut at this zone that better joins the patched asphalt to the existing asphalt to make a better repair (Peters 54, 55). Coordination and better inspection programs are being instituted in cities to minimize cutting newly paved streets. These inspection programs also help city departments keep track of utility cut repairs. Pam Zubeck in The Gazette, wrote an article entitled, “Timing Street Work Is a Challenge; Cuts Can Weaken Newly Paved Roads.” addressed this issue. The City of Willamette, Colorado has such a program. This inspection program makes utility contractors responsible for any repairs made within the streets. The city has also improved standards for asphalt repair work. These improved standards, along with better coordination between the utility companies and the city, should allow for better, overall performance of repairs (Zubeck). Safety in construction zones is everyone’s concern. All too often workers are injured or killed in work zones. The “Work Zone Traffic Control Pocket Reference Guide” published by InCom, Incorporated, emphasizes principles for safely working in the road by training employees who work in areas where motorists are present. The guide also states employees should “plan for the worst” by being aware of “… the possibility of errant vehicles leaving the roadway and impacting the work zone.”(Service 4). Oftentimes, crews get in a hurry to make repairs in roadways because of traffic concerns. When this happens, the crews often fail to repair the utility cut asphalt patch properly. Understanding how to properly set up and use traffic controls in the work zone will allow crews additional time to make better repairs. Since improperly installed utility cut repairs are subject to failure, certain installation measures are taken to ensure better results. Several factors are involved to install a permanent and usable utility cut. Those factors are further training of employees, use of flexible polymer-modified asphalt mix designs, proper trench compaction, improved coordination, thorough planning among agencies, and proper traffic control during construction. By following these recommendations and procedures, a proper, permanent, and safe utility cut repair can occur. Discussion pertaining to results of a good utility cut repair will now follow. Everyone likes to have a good utility cut repair. Perhaps one of the best results from a good utility cut repair would be positive public perception. Public views of road repairs have often been unfavorable. Editor Chris Fletcher of The Daily Herald has received complaints from citizens about poor roadwork in times past. Fletcher said road closures are sometimes an issue from his readers. He indicated that it was not so much the closure of the road for repairs that was aggravating but the quality of the finished repair. Fletcher agreed that positive public perception would increase and the agencies would be cast in a more favorable light as a result of a better completed repair in the street. Cities across the country are improving the quality of utility cuts in pavement. Using better techniques and materials is beneficial to the municipality and public alike. By utilizing newer, one-time installation products and better installation procedures, return visits to construction sites are virtually eliminated. In a recent phone interview with Greg Barnes, city of Westport, Washington, he pointed out the city has noticed fewer return visits to utility cut repairs. Less mobilization of crews, less disruption to traffic flow, and significant cost savings have produced good utility cut repairs in Westport. Results of a good and properly installed utility cut repair in paved areas are beneficial to the community. The results of a good utility cut repair are reflected in the reduction of return maintenance for repairs of the utility cut. Fewer disruptions to traffic flow are seen because of newer installation materials and techniques. Perhaps the biggest result of a good utility cut repair is the overall positive perception by the citizens toward the improved quality of utility work performed by contractors or city departments. The conclusion of chapter two will now follow. There are many underground utilities beneath roadways in this country. The utility infrastructure is deteriorating at a fast pace and repairs are needed on a constant basis. It is apparent from reviewing literature and conducting interviews that utility cut repairs and asphalt patching often fail. The failures are often the result of poor choices in repair materials, improper installation of materials which impedes the efforts to achieve a reliable, stable, and permanent patch. These failures cause traffic disruption, scheduling conflicts, multiple visits for repairs, safety issues for the crews, and negative perception by the public before a permanent repair is finally made. Better utility cut repairs can be made. Newer asphalt mixes on the market allow utility companies to make fewer return visits to patches. Utility coordination and proper construction techniques allow for a quicker, safer, and permanent utility patch. Training employees to use better and more efficient construction practices, closer and better-informed selection of trench and asphalt materials, material installation, proper coordination, and safety are key components of properly installing and maintaining utility cut repairs in roadways. Installed properly, asphalt utility cut repairs will allow cities to efficiently and more wisely spend their time and resources on road maintenance by extending the overall life of the road. A positive public perception will increase as traffic delays decrease and roads become smoother over the repairs as well. The next chapter will discuss the option chosen to proceed with the project. The city of Columbia Wastewater Department had multiple returns of construction crews to utility cuts performed in streets. The general method used by this department for repairing utility cuts was a two-step asphalt repair technique requiring a temporary installation of asphalt cold mix replaced at a later date with a permanent asphalt hot-mix installation. Multiple visits to repair sites often resulted in traffic disruption, crew scheduling issues, and crew mobilization factors, all of which cost the city extra time and man-hours. Polymer-modified asphalt mix available on the market allowed for a one-time, permanent asphalt installation. This chapter will examine and explain the options available and option selected to examine the feasibility of using polymer-modified mix as an alternate repair mix. There were three available options available to examine the problem. Option one was available to involve the writer in the project by designing, implementing, and evaluating the problem during the MHR timeframe as outlined by Trevecca Nazarene University staff. Option two was performing research to submit a grant proposal for funding. This funding required the writer to compose a grant proposal of intervention for a non-profit agency to be the recipient of funds. Option three offered the writer the opportunity to compose up to three policy alternatives for submittal to the city of Columbia for possible implementation. These three options were examined. Option three offered the advantage of a citywide alternative pavement repair policy whereby all departments using asphalt as repair material abided by the changes of procedures. One disadvantage to this option was the writer could not perform this policy alternate within the allotted time frame of the course as policy changes within the city often require extensive research to satisfy elected officials. Furthermore, the writer could not enforce the actions of another department even had the policy change been implemented. Option two was not available for this writer’s utility cut repair project since it would not qualify for non-profit government grants. The city can apply for certain government grants; however, the grants are for infrastructure improvements in lower income areas and not for asphalt material and methodology toward installation of newer asphalt mixes. While the city of Columbia is considered a not–for-profit entity, it is not regarded as a status 501(c) (3) non-profit organization and could not be considered as a recipient of said funding. Option one was examined as a possible choice of intervention. The advantages of option one were that it met the time constraints of accomplishing the project, the project sites were local, thereby allowing continual observations, and the implementation of the project was feasible since the material and manpower were already in place with the city of Columbia. After careful consideration and review of the available options, it was this writer’s belief that option one would present the most accurate and thorough results. Discussion with this writer’s site coordinator concurred that all available material, equipment, and manpower could be provided by the city of Columbia Wastewater Department for proceeding with the Applied Design Intervention and be completed within the allotted time limits of the course. The following chapters will discuss the methods used and results found. The use of cold mix asphalt repair mix followed by hot-mix asphalt repair mix on street-cut utility repairs had been the norm for years. This two-step process had served the city of Columbia Wastewater Department well as the method of patching utility cuts within the streets of Columbia. Local availability of a polymer-modified mix called EZ Street cold asphalt allowed the Wastewater Department to investigate the feasibility to install this mix as a one-step permanent repair patch on utility cuts within paved areas of streets. During compilation of data and literature review, it became evident this mix had potential cost-saving characteristics which should be evaluated as a possible alternative to the current two-step repair process. Chapter four presents the need for an alternate mix for street-cut repairs and will present the projected results. The sporadic availability of hot mix and the duplicity of asphalt placement in utility cut repairs warranted the need for investigations into more efficient repair materials and methods. This writer believed the incorporation of a polymer-modified mix, such as EZ Street cold asphalt, into street-cut repairs would lead to a more efficient permanent street-cut repair. This writer also believed that by investigating and examining the measurable objectives, outlined in this section, the city of Columbia Wastewater Department would notice a cost savings by the reduction in time and materials used in the repairing of utility cuts in paved areas. By September 2010, following completion of the intervention, the amount (tonnage) of asphalt used by the crews of the city of Columbia Wastewater Department to permanently patch a utility cut will be reduced by twenty percent per cubic yard of permanently placed mix. This objective was chosen to evaluate the opportunity of reducing the tonnage used on each street-cut repair. The current method of repairing street-cut repairs consisted of using a temporary cold mix patch, followed by a permanent hot-mix patch. Using the polymer-modified mix as a material for repair was reviewed as an objective to ascertain if a onetime application would reduce the overall tonnage needed to make a permanent utility cut repair in paved areas. By September 2010, following completion of the intervention, the time (man-hours) expended by the crews of the city of Columbia Wastewater Department to permanently patch a utility cut will be reduced by twenty percent per cubic yard of permanently placed mix. This objective was chosen to evaluate the possible reduction in man-hours used to patch each street-cut repair. The current method of temporarily patching with cold mix, followed by a permanent hot-mix patch was reviewed, and it was determined that using the polymer-modified mix as a onetime application would reduce the total amount of man-hours needed to complete a permanent utility repair by the city of Columbia wastewater personnel. By September 2010, following completion of the intervention, the combined total tonnage of asphalt material with the total man-hours needed to install a permanent utility cut repair patch will be reduced by thirty percent. This objective was chosen to evaluate the overall combined reduction in tonnage of asphalt material and the man-hours needed to permanently repair each street-cut. This objective was reviewed as a method to ascertain if a total cost-savings of combined materials and man-hours would be achieved. This writer believed by calculating the total amount of expenditures used in both material and man-hours, cost savings would be shown to permanently patch a utility cut in asphalt by the city of Columbia wastewater personnel. The goal of this writer’s intervention was to reduce the time and materials needed to permanently patch a utility cut in asphalt. To determine the need for this intervention, preliminary investigations were made in the current patching process. The types of asphalt materials currently used and the accessibility of said materials were analyzed. The methods of placement were also examined. The current cold mix, hot-mix installation was the normal patching process. It was determined the polymer-modified mix, EZ Street cold asphalt repair , had become locally available in the Middle Tennessee area at the Hermitage asphalt plant, (about one hour away from Columbia). The mix was produced on a year round basis at this facility, as opposed to seasonal production of hot-mix, and the mix could be stored at the wastewater treatment facility. The decision was made by this writer to use this mix on a trial basis. The long-term storage qualities and year round availability were crucial to the man-hour calculations examined, as historically the employees often waited hours at the hot-mix plant for a batch of hot-mix, and any extra mix left over from the job had to be hauled away, which also used additional man-hours. It was decided to evaluate five street-cut repairs using the current two-step method and five street-cut repairs using the proposed intervention of the one-step process. Because no data existed on previous street-cuts using the two-step process, it was decided that even though the wastewater plant had the EZ Street cold asphalt repair on hand in the storage area, crews would perform five street-cut repairs on new and recent asphalt cuts using the two-step process for comparison. These areas were determined by current work-orders for repairs to sewer services needed in paved areas. Locations of existing street-cuts not permanently patched were also determined as test areas for the placement of the EZ Street cold asphalt repair . After preparing the sub base for placement of the asphalt, and measurements taken of the actual cuts, the crews proceeded to install the mix. The man-hours used for placement of the mix during each installation process was noted by the foreman based on instructions from this writer. The tonnage of each mix was converted to cubic yards from the measurements taken of the street-cuts. Comparisons of the two installation processes were then performed from the data collected. This chapter concentrated on the option that was chosen (number one) and the three objectives and determined what the intervention might accomplish by changing the installation process of repairing street-cuts in paved areas. The goal of this writer was to establish and explain the objectives and how the results were collected and analyzed. In the next chapter (chapter five) the statistical methods used for this project will be explained and how they determined whether this thesis met its objectives. Repairing and patching utility street-cuts were timely, costly, and necessary as part of the total construction process for installing sanitary sewer lines in paved areas preceding the start of this project,. Time delays and asphalt mix availability were oftentimes factored into the scheduling of permanently repairing utility cuts in paved areas. The data collection and analysis contained in chapter five shows how this writer implemented a plan that reduced man-hours and construction material amounts for permanently patching asphalt utility cuts in paved areas. Information, such as material costs, man-hour calculations, and data collection reports, was included as appendixes at the end of this chapter explaining the collection and use of data. The lack of alternate methods of asphalt patching limited the city of Columbia’s ability to efficiently make permanent utility cut repairs in paved areas. The limited availability of asphalt hot-mix in the Columbia, TN area and the multiple construction steps needed to repair cuts resulted in additional time and materials to complete and repair a utility cut in paved areas. This writer believed through the use and incorporation of the stated objectives that a polymer-modified mix, such as EZ Street cold asphalt repair , would lead to a more efficient patch for permanent street-cut repairs. The following are three measurable objectives this writer chose to determine and investigate this project’s effectiveness. Objective one stated that by September 2010, following completion of intervention, the amount of asphalt mix used by the city of Columbia Wastewater Department crews would be reduced by twenty percent per cubic yard of permanently placed mix. Data were collected on ten different street-cuts to reflect the different cubic yardage amounts of asphalt mixtures needed for a permanent patch. Asphalt-mix weights per cubic yard and price data were included in the appendix section and labeled Appendix C. Discussion will now follow in objective two. Objective two stated that by September 2010, following completion of the intervention, the man-hours needed by the construction crew to install a permanent asphalt repair for utility cuts in paved areas by the city of Columbia Wastewater Department will be reduced by twenty percent. Employee payroll and benefits information, equipment costs, and construction-site data are data were collected to determine man-hour costs and the man-hours used to install the different types of asphalt mix on ten street-cuts. Data for computing man-hours for construction crew personnel is included in the appendix section and labeled Appendix D. Templates of data collection sheets used by the construction crews are included in the appendix section and labeled Appendix B. Discussion will now follow in objective three. By September 2010, following completion of the intervention, the total cost (materials and man-hours) per cubic yard of placed mix to permanently patch a utility cut in paved areas by the city of Columbia Wastewater Department construction crew will be reduced by thirty percent. Data was collected from objectives one and two to determine the total combined costs of man-hours and materials used to perform repairs on ten street-cuts. From May 2010 to September 2010, data from utility cut repairs were collected at various streets locations within the city of Columbia for the purpose of evaluating and determining the validity of this writer’s project thesis. Biases were removed and randomness was ensured by using streets in different subdivisions and with different amounts of traffic flow. Biases were further removed by using two different construction crews. It was this writer’s belief the data was better quantified and the analysis was more accurate using costs based on cubic yards of permanently installed mix. This method was chosen rather than attempting comparisons on a cost per linear foot of permanently installed mix due to the varying lengths and widths of utility cuts that were repaired. The length, width, and depth of repair area was measured. By obtaining the volume, and using known compacted weights per cubic yard of hot-mix, cold mix, and EZ Street cold asphalt repair , the total weight of mix used before and after the intervention in each street-cut repair was ascertained and the cubic yards of placed mix was calculated. Five old/current repairs and five repairs incorporating the intervention were used. The percent change between the tonnage needed before the intervention and the tonnage needed after the intervention for a cubic yard of permanently placed mix was performed. Following is the formula used for the percent change calculations. A percent change of twenty percent or greater was required to meet objective one. Man-hours were measured to install asphalt in utility cuts. The time started and time completed of the installation of EZ Street cold asphalt repair on five new utility cuts was noted. An additional five utility cuts were evaluated by recording time started and time completed of installation and subsequent removal of each cold mix patch under the current method. Time started and time completed for the installation of hot mix was also measured under the current method using five unfinished utility cuts. The time used for the dump truck waiting in line at the asphalt plant was also recorded . Cubic yards of hot-mix that were not used (if any) were also calculated. The percent change between the man-hours needed before the intervention and the man-hours needed after the intervention for a cubic yard of permanently placed mix was performed. Following is the formula used for the percent change calculations. The total man-hours were obtained that were used to install permanent utility cut repairs the current way using cold mix and hot-mix and the total man-hours that were used to permanently repair utility cuts implementing the use of EZ Street cold asphalt repair . The total cubic yards of each mix used on each utility cut repair was obtained from purchase invoices. The combined totals of materials from objective one and man-hours from objective two were used from each repair method to determine the total cost. Ten repairs (five of the two-step process and five of the intervention method) were used for the comparison of the total cost of permanently placed mix before and after the intervention. The percent change between the total cost of material and man-hours needed before the intervention and the total cost of material and man-hours needed after the intervention for a cubic yard of permanently placed mix was performed. Following is the formula used for the percent change calculations. A percent change of thirty percent was needed to meet objective three. There were some limitations encountered while gathering the data used for analyzing the street-cuts. There were few street-cuts appropriate for this writer’s project during the months of May and June. In addition, communication errors about project test areas hindered the collecting of the results. There was some miscommunication between this writer and the construction crew concerning the necessity and importance of this testing and subsequent comparisons of the old, two-step process and the new, one-step process. The availability of some of the street-cuts that were to be used for the two-step process samples were scarce since the construction crews had been very pro-active toward making permanent repair patches prior to this writer’s project. There were a few recent street-cuts that had been made and were set aside to be used with the two-step process. Those saved cuts were inadvertently paved by the crew using the EZ Street cold asphalt repair . No time measurements or quantity measurements were taken. This resulted in those repairs not being used as part of the sample group. This miscommunication concerned this writer because of the scarcity of street-cuts needed for the two-step sample group. A meeting was held with the foremen and further explanation was given to show the need to compare the old way with the new way and the potential cost savings and time savings. This writer felt the communication process was improved because of this meeting. This problem of limited samples was soon corrected with the discovery of some old street-cuts that were not permanently patched. Those cuts were excavated and prepped and the two-step method of repair was implemented and used as the two-step sample group. This project has been an effort to show the need for alternate methods of repairing utility cuts in paved areas within the streets of the city of Columbia, TN. Chapter five has described the methods used to identify and measure quantities of time and materials to determine the feasibility of the intervention and whether the intervention met this writer’s objectives. Objective analysis designs, the analysis of the data collection plan, and limitations of the project were discussed in this chapter. Prices per cubic yard of different asphalt mixes, personnel information (for man-hour calculation), and copies of data collection sheets were included in the appendixes of this chapter. The next chapter will summarize the conclusions and present the results of the street-cut repair sites used in this project. Prior to initiating this project, permanently repairing utility cuts in paved areas was time consuming and repetitive. The task of permanently repairing and maintaining utility cuts in paved areas was a constant and inherently inconsistent undertaking under the best of circumstances. This project was undertaken to compare the two-step pavement repair process with a one-step process using a polymer-modified asphalt mix, known as EZ Street cold asphalt mix, and to determine if savings in man-hours and asphalt material could be achieved to permanently repair a utility cut in paved areas. The following is a summary of the results and conclusions. The interventions introduced in this project compared the existing, two-step paving process used in repairing utility cuts in paved areas with the proposed one-step process of repairing. Three objectives were chosen and developed to analyze the potential benefits of the one-step process using a polymer-modified mix (intervention). Data were recorded using Data Collection Sheets (Appendix B). The first objective will now be discussed. Objective one stated that by September 2010, following completion of the intervention, the amount of asphalt mix used by the city of Columbia Wastewater Department crews would be reduced by twenty percent per cubic yard of permanently placed mix. Data were collected on ten different utility cuts, divided into two groups. Five utility cuts using the current method of placing cold mix followed by placing hot-mix were in one group, and five utility cuts using the new method of applying EZ Street cold asphalt repair were in the second group. This division was necessary to reflect the different cubic yardage amounts of asphalt mixtures needed for completion of a permanent repair using each method. Measurements such as length, width, and depth were taken of the area repaired. By obtaining volume, and using known compacted tonnage per cubic yard of hot-mix, cold mix, and EZ Street cold asphalt repair , the total tonnage of mix used before and after the intervention in each street-cut repair was ascertained (Appendix C). Mean averages of tonnage of permanently placed mix were taken from each group of repairs. The percent change between the tonnage needed before the intervention and the tonnage needed after the intervention for a cubic yard of permanently placed mix was performed. The following formula was used for the percent change calculations. A percent change of twenty percent was needed to meet the objective. Since the percent change (reduction) was sixty-one percent, this represented a significant change, and the objective was met. Objective two will now be discussed. Objective two stated by September 2010, following completion of the intervention, the man-hours needed by the construction crew to complete a permanent utility cut asphalt repair by the city of Columbia Wastewater Department would be reduced by twenty percent. Data were collected on ten different utility cuts and divided into two groups. Five utility cuts using the current method of placing cold mix followed by placing hot-mix to achieve a permanent repair were in one group, and five utility cuts using the intervention method of applying EZ Street cold asphalt repair to achieve a permanent repair were in the second group. This division was necessary to reflect the man-hours needed for completion of a permanent patch using each method. The time started and the time completed using the current method for the installation of cold mix were recorded. The time used to later remove the cold mix and prepare the utility cut for the installation of hot-mix was recorded. The time started and the time completed for the installation of hot-mix was also recorded on the first test group under the current method. In addition, the time used for the dump truck waiting in line at the hot-mix asphalt plant was recorded. These recordings were converted to man-hours. Current cost per man-hour was compiled from Wastewater Department records (Appendix B). The time started and the time of completion of the installation of EZ Street cold asphalt repair (intervention) on five new utility cuts was recorded. These recordings were converted to man-hours. Current cost per man-hour was compiled from Wastewater Department records. Comparisons were made between the man-hour cost per cubic yard of the current method and the intervention to achieve a permanently installed pavement repair. Mean averages of man-hours were taken from each group of each method of repair. The following formula was used for the percent change calculations. A percent change of twenty percent was needed to meet the objective. Since the percent change (reduction) was eighty-seven percent, this represented a significant change and the objective was met. Objective three will now be discussed. Objective three stated by September 2010, following completion of the intervention, the combined cost (man-hours and material) to permanently patch a utility- cut in paved areas by the city of Columbia Wastewater Department construction crew would be reduced by thirty percent. Information used from data compiled in objectives one and two were applied in this objective. Ten repairs (five of the current process and five of the intervention method) were used for the comparison of the combined cost of permanently placed mix before and after the intervention. The average cubic yards of each type of mix used to repair utility cuts with the current process of installing cold mix and hot-mix were obtained from objective one. The average cubic yards used to repair utility cuts implementing the process using EZ Street cold asphalt repair (intervention) were also obtained from objective one. The cost of the material was obtained from purchase invoices received by the Wastewater Department and was applied to achieve a cost per cubic yard of each type mix. The average man-hours used to repair utility cuts the current way using cold mix and hot-mix, and the average man-hours used to repair utility cuts implementing the use of EZ Street cold asphalt repair (intervention) were obtained from objective two. Man-hour costs of fifty dollars per man-hour were calculated from Wastewater Department records. The percent change between the average cost of material and man-hours needed before the intervention and the average cost of material and man-hours needed after the intervention for a cubic yard of permanently placed mix was calculated . The following formula was used for the percent change calculations. A percent change of twenty percent was needed to meet the objective. Since the percent change (reduction) was seventy-two percent, this represented a significant change and the objective was met. There were very few limitations during this writer’s research procedures. Additional training time was not anticipated but needed before the intervention. The additional time was invested in training construction personnel to insure the manufacturer’s suggested installation procedures were followed in the placement of the intervention asphalt mix. The training included practice sessions installing the correct thickness of non-compacted asphalt mix to obtain the proper compacted thickness of the EZ Street cold asphalt repair . Proper trench backfill procedures were also reviewed on-site and in the classroom. These procedural reviews were helpful to the crews to achieve the desired compaction of sub-grade material. While extra time was invested with the crews to emphasize the importance of correctly repairing utility cuts, it was this writer’s belief the initial time spent in training was beneficial to achieving an accurate comparison between the two methods. Recommendations will now be discussed. The recommendations of this writer are to change the current method of permanently repairing utility cuts in paved areas from the current, two-step paving process, to the one-step paving process using EZ Street cold asphalt repair . The asphalt repair portion of the Wastewater Department’s utility cut repair program is an integral part of permanently repairing utility cuts in paved areas. Time and material costs are considered during the budget process for such construction costs. Savings are encouraged in every department within the city of Columbia, and by following this writer’s recommendations on using a polymer-modified mix, such as EZ Street cold asphalt asphalt mix, significant utility cut repair savings would be realized by the Wastewater Department. The next section will address any potential policy recommendations. No policy changes are needed in order to implement the intervention this writer researched. Asphalt mix and all associated costs for repairing utility cuts are included in the Wastewater Department’s annual budget. No stipulation in the budget is made concerning what type of asphalt repair process or mix is used to achieve a permanently repaired utility cut. Recommendations for further research will now follow. Further research on EZ Street cold asphalt repair is recommended to the city of Columbia for additional applications in paving. While the purpose of this project was to specifically examine the use of the mix in utility cuts, additional research should be performed to examine the potential usage for other types of city paving projects that currently use the two-step paving process. The summary of the project thesis will now follow. As stated in chapter one, the purpose of this project was to investigate the feasibility of using a polymer-modified asphalt mix named EZ Street cold asphalt, as a more affordable, one-time application mix, to permanently repair a utility cut in paved areas. Permanently repairing utility cuts in paved areas is a necessary step in the Wastewater Department’s ongoing efforts to continually repair and replace the aging sewer infrastructure in the city of Columbia. Continued education in implementing better construction methods and techniques for a higher quality job has been an ongoing effort for the installation and maintenance of sanitary sewer lines in the city of Columbia. An equally important process has been studying and examining the choices of available materials to properly complete jobs in the most efficient manner possible. Both of these endeavors were combined to successfully research and examine all the data collected in this project for the purpose of obtaining the best utility cut repair possible. Reduction of time and materials for the city of Columbia Wastewater Department was the primary consideration in the selection of this writer’s three objectives. Measurable quantities of man-hours and materials were obtained. Comparisons of those quantities between the two utility cut repair methods were performed. Those quantities were considered by this writer to be the most appropriate quantities to determine whether the intervention would produce evidence of an overall savings of time and materials. All three objectives were met. The three objectives examined the usage of time, materials, and the overall combination of time and materials. The results in each objective, using the intervention, showed significant reductions of time and materials over the current process of repairing utility cuts in paved areas. This project provided the information to competently proceed with a more cost-efficient method of paving utility cuts. The conclusion will now follow. Chapter six summarized the results of each objective chosen to compare asphalt mix and installation processes used to permanently repair utility cuts in paved areas. The results were analyzed using the percent change method. The results in each objective revealed a reduction in time and material using the intervention. Recommendations were made to use the intervention as the method of choice when permanently repairing a utility cut in a paved area. A project thesis review was also included. The annotated bibliography now follows. The appendix portion of the project thesis follows the annotated bibliography. The first portion of the appendix is the Reflections on the Project Thesis. Ballard, Steve. Telephone interview. 25 February 2010. Barnes, Greg. Telephone interview. 25 Feb. 2010. EZ Street cold asphalt by The EZ Street cold asphalt Company. Information Packet. Advertisement. 2008. Print. Fletcher, Chris. Telephone interview. 14 March 2010. Garner, Warren. Telephone interview. 08 March 2010. Lewis, Eleanor. "Helping Cities And Counties Avoid utility cut Problems.” The American City & County 1 Apr. 1994: ABI/INFORM Global, ProQuest. Web. 22 Feb. 2010. Nathan, Don. “High-Performance Remedy to Potholes Puts an End to Constant Repair Work.” Roads and Bridges. March 2007 Volume: 45.3 (2007). Web. 26 Feb 2010. Noble, Sheila. "Restoring roads after utility cuts On-Site 1 Apr. 2004: CBCA Complete, ProQuest. Web. 19 Feb. 2010. Pavement Degradation: How Other Cities Are Dealing With It . Utility and Public Right of Way Committee. American Public Works Association. 23 Sept. 2002. 2-3. Web. 26 Feb. 2010. "Paving program efficiently upgrades city's streets." American City & County 111.13 (1996): 33. General OneFile. Web. 26 Feb. 2010. Works 133.4 (2002): 54+. General OneFile. Web. 25 Feb. 2010. San Francisco Public Utilities Commission. Combined Sewer: Bringing Water and Sewer Together. San Francisco. Web. 26 Feb. 2010. Service and Materials. Work Zone Traffic Control Pocket Reference Guide. Downer’s Grove, Illinois. InCom, Inc, 1999. Print. “United States of America-Infrastructure, Power, and Communications.” Encyclopedia of the Nations. Web. 26 Feb. 2010. Upchurch, Jenny. “Readers all over Nashville ask why roads are bumpy.” Tennessean.com. 27 Dec. 2009. Web. 28 Jan. 2010.
utility cuts in Paved Roads. Dir. LTAP. 1996. DVD. Zubeck, Pam. "Timing street work is a challenge; Cuts can weaken newly paved roads. " The Gazette 14 Jan. 2007, ProQuest Newsstand, ProQuest. Web. Learning without thought is labor lost -Confucius. As I thought about this statement, I wondered how much labor I had lost in my life due to learning without thought. As young adults, it is all too easy to realize a sense of newfound freedom from high school learning. As high school graduates, opportunities abound to learn in a vast world of information. Young graduates are confident they will learn with thought. Sometimes though, we do not take full advantage of that learning opportunity until later in life. I obtained several skills throughout the project thesis process. Some of those skills were organization, time management, recognizing resource availability, and group interaction. Before the program, my skills and efforts in organizing different facets of my life were often futile. The numerous, misplaced items and files at work created unnecessary angst and frustration. My workload routinely increased due to my disorganized methods of collecting and maintaining data for work projects. At home, I searched for misplaced tools in the shed more than once for home projects. The very nature and magnitude of the project thesis showed me the necessity to better prepare and organize my thesis material. I quickly discovered a disorganized desk or file system deprived me of valuable writing time on the thesis. Proper organization reduced the possibility of errors and reduced the collection of redundant data for my project. I now value my time more and work harder to manage it. Returning to school and incorporating the whole learning process into my life schedule was a challenge. It did not take long to realize a significant portion of many days would be dedicated to study time and associated homework. In addition, I realized a great portion of time would be dedicated to my project thesis. While my work hours were generally set, I had to plan my days and weeks with school in mind. Never before in my adult life had I used a calendar so much for managing my time. Now that the thesis is finished, and graduation is near, it is tempting to throw the calendar away and just “wing it” on activities and projects when “life after school” resumes. However, the development of my skills in time management over the last thirteen months will not be forgotten. I feel an unexpected outcome of my improved time management skills will allow more time to prioritize. By using these time management skills at work, I have improved my planning skills to achieve work goals more efficiently. I learned that resources are available for just about any problem that arises. Before the project thesis, I felt that answers to most any question could be found on Google. During the research and library module, I was extremely impressed and surprised to learn of all the additional literature and material available on other websites such as ProQuest and LexisNexis. These sites were very helpful in obtaining the needed information on the technical aspects of my project. Researching other municipalities using a polymer-modified mix for utility cut repairs in paved areas was challenging. I knew of other cities that used EZ Street cold asphalt repair in the past and I contacted them. I had never interviewed anyone before and this was a new experience. I was somewhat nervous, but I knew actual interviews would be a good addition to the other research performed. The individuals I interviewed were very cordial and straightforward with their answers and comments. Based on their answers, it was clear they had no obligations whatsoever to EZ Street cold asphalt and I felt their testimonials were truthful and valid, which helped in remaining un-biased. For future projects, I plan to use interviews as an additional source of research material. The project thesis process gave me great personal satisfaction. Since the project was work related, I feel the city of Columbia will benefit from this study through savings in paving costs. The city often gets negative publicity from spending the citizen’s money unwisely. Sometimes this criticism is valid, other times it is not. This was an effort to show cost reductions without additional investment in equipment or personnel within the city of Columbia Wastewater Department. Anytime the city can save money and reduce spending, it is a “win-win” situation. I am very humbled and proud to be a part of this accomplishment. I have also learned the importance of group interaction to achieve goals. I felt this interaction was necessary to instill trust among the other class members for reviewing and improving each other’s projects. The group-focused exercises used in classroom projects gave me confidence to lead and participate within group discussions. Explaining my project to the class allowed me to review my efforts to better present programs to others. This has helped me to make professional presentations before others. I will be eligible for retirement from the city of Columbia Wastewater Department in 2013. As this event draws near, I am planning a second career in teaching. Graduating from the MHR program will give me the opportunity to pursue a teaching career. The tools of learning that I developed during the project thesis will help me instruct others to achieve success and obtain their goals. The class has been supportive of each other during class work and each student has shared victories over personal struggles during the program. The Christian-based studies presented in all topics by all our teachers afforded each student the ability to practice patience, love, and respect toward each other during our classes. Most importantly, we recognized that a Higher Power existed and was most assuredly present during the difficult times of balancing school, work, and family. Now that the end of the program nears, my thoughts turn toward the future. I reflect on all the classes and the challenges of the project and how I feel a great sense of accomplishment. I see the benefits of this program in most every part of my life. I think more about learning and how to apply that knowledge to increase my wisdom. In the beginning of this personal reflection, I referenced a quote from Confucius. Although it took thirty years after high school graduation, I can confidently say I now have gained the ability to learn with thought. I owe this to the MHR program at Trevecca and this project thesis. If given the opportunity to do it all again, I would most certainly go through the process to obtain the skills and lessons received in this program. Prepare site for 3 inches or less of EZ Street cold asphalt repair .